Brush the pumpkin thoroughly under water and rinse it well to remove dirt. Cut it into pieces and remove the seeds. You do not need to peel the pumpkin (unless it isn’t organic or if you are unsure about where they were grown). 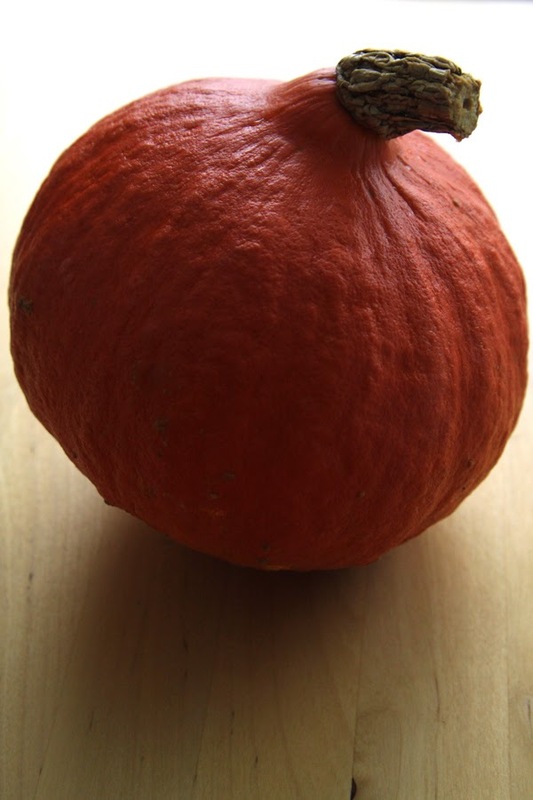 The skin of the Hokaido pumpkin becomes as soft as the inner pulp after cooking. Cook the pumpkin pieces in as little water as possible, over medium low heat (with lid on) until they are just tender but not too overcooked that they begin to melt. Remove the pumpkin chunks out of the water and using a handheld immersion mixer blend it with coconut milk (just enough milk to make a thick puree, and preferably with the thickest part of the coconut milk if you have that option), grated orange zest and mascobado sugar (or other sweetener to taste). Bring the pumpkin puree back to the fire and cook further for 2-3 minutes. 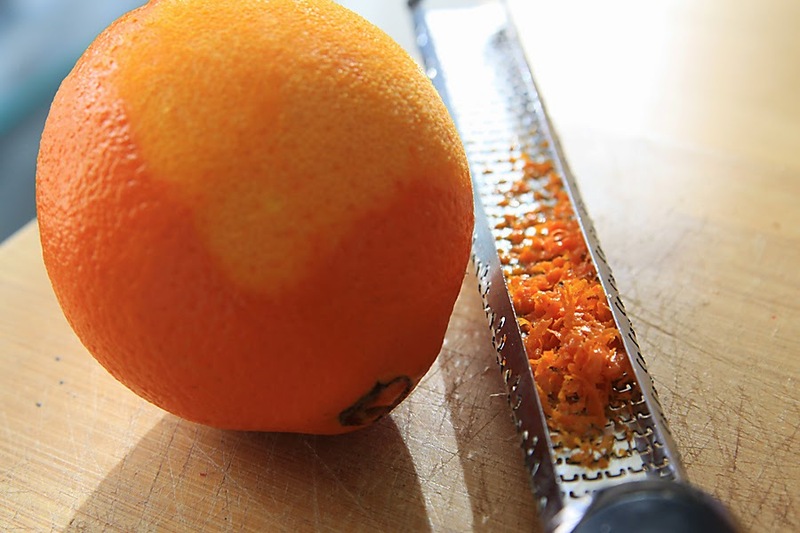 For the orange zest I use a microplane grater that makes sure only the dark orange layer is finely grated, and not the white inner layer (which might add a bitter taste to the recipe). Cover the bottom of a glass tray with a thin layer of the pumpkin cream. Spread it evenly. 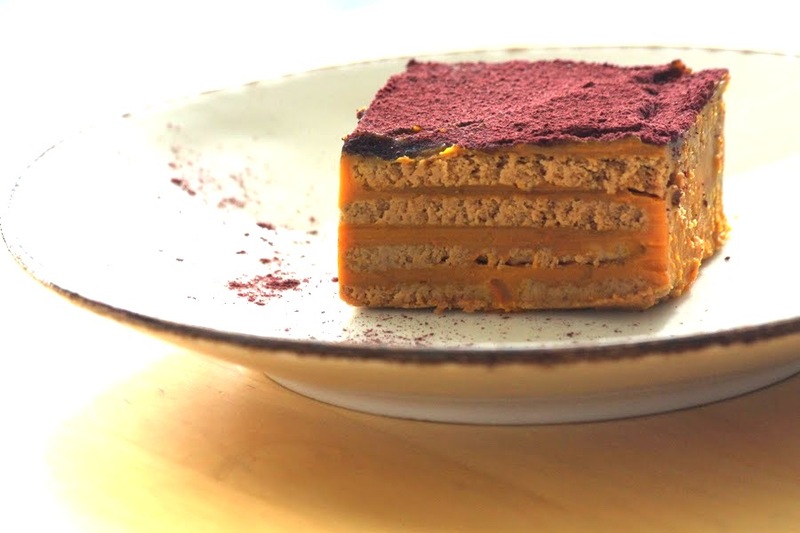 Cover it with a layer of speculoos biscuits, add another layer of pumpkin, biscuits… make as many layers as your ingredients and/or tray allow but make sure to end with a layer of pumpkin cream. Garnish it with whipped coconut cream, aquafaba fluff, chocolate ganache or blueberry powder - as I used i the batch I made for the picture above. You can also leave it as it is. Place the tray in the fridge and allow it to cool, for at least a few hours. Serve cold. This pie gets even the next day. That is beautiful! I almost never use pumpkin in cakes/sweet things, but clearly I should! OMG!!!! This is superb looking!!! Wow! !